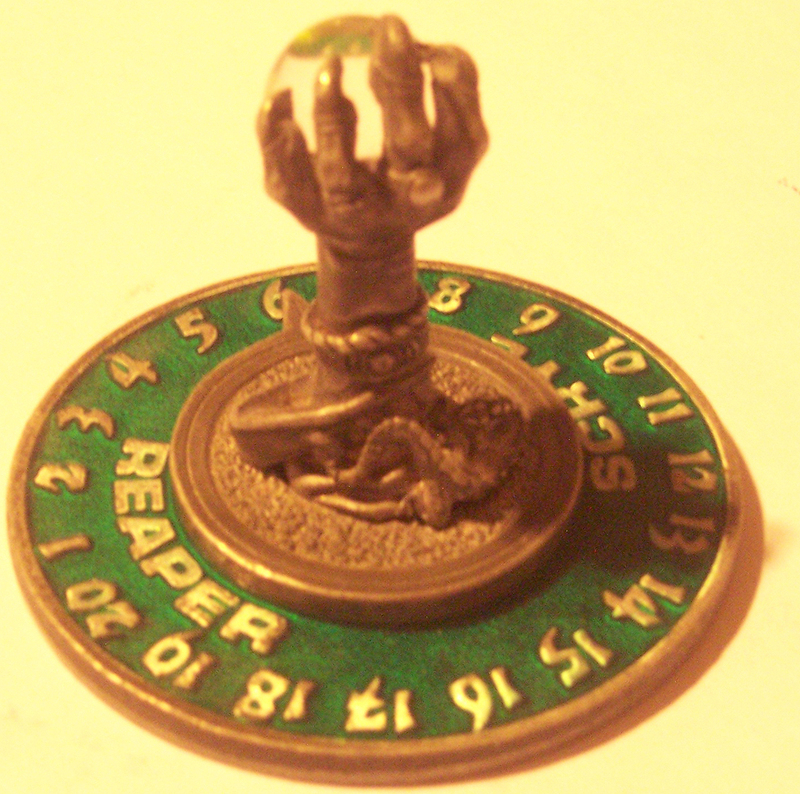 This is a limited edition Scrye Life Counter made by Reaper Miniatures. There are two pieces (the hand and ball pointer and the two-sided counter disc). One side has 1-20 and the other has 21-40. It came out in 1995 and is stamped 1995. It is a GREEN colored counter and while it has been played with, is in excellent condition. This is the third life counter for Magic: the Gathering created by Scrye and Reaper Minatures. I got one of these little guys way back in the day for five ..